SSC CGL 2016 Tier 2 Re-exam is scheduled on 12 & 13 th of January 2017. 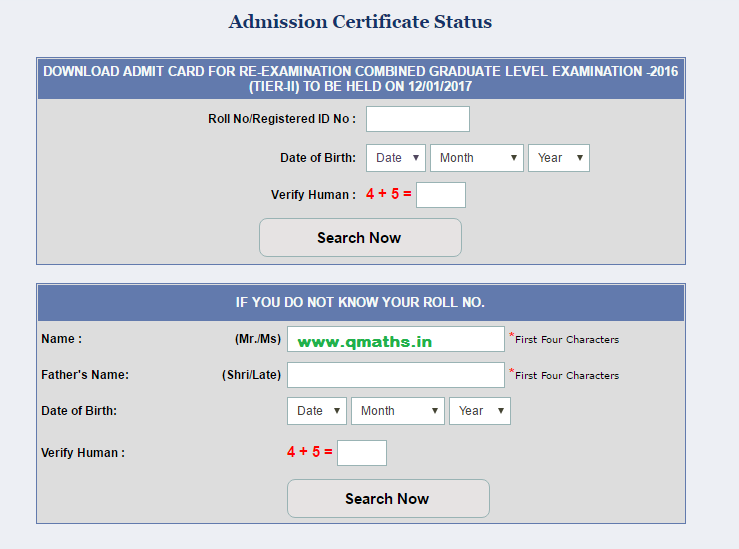 Admit card for same has been started to be downloaded. You may Download admit card from the link provided below. We'll update links of SSC CGL tier-2 Re-exam admit card of all the respective regional websites of SSC on this page as soon as they will be uploaded.